The Claude “Bud” Lewis Carlsbad Desalination Plant is the largest, most technologically advanced and energy-efficient seawater desalination plant in the nation. Each day, the plant delivers nearly 50 million gallons of fresh, desalinated water to San Diego County – enough to serve approximately 400,000 people – accounting for about one-third of all water generated in the County. ​The Claude "Bud" Lewis Carlsbad Desalination Plant is built on industrially zoned land adjacent to the Encina Power Station in Carlsbad, CA. Poseidon Water obtained all required environmental permits and environmental clearances necessary for the construction of the facilities. 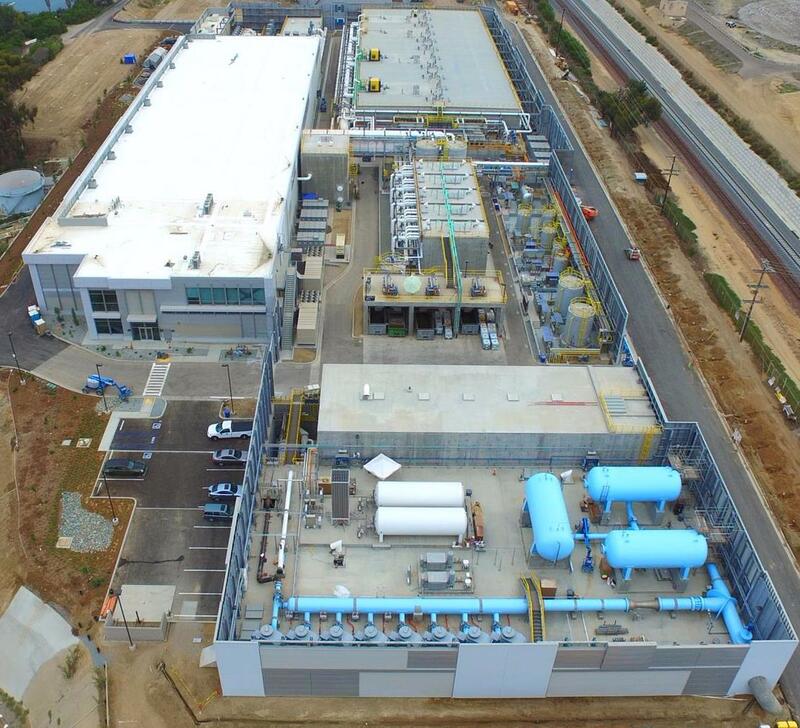 On December 28, 2012, Poseidon began construction and the plant began delivering water to San Diego County in December 2015. 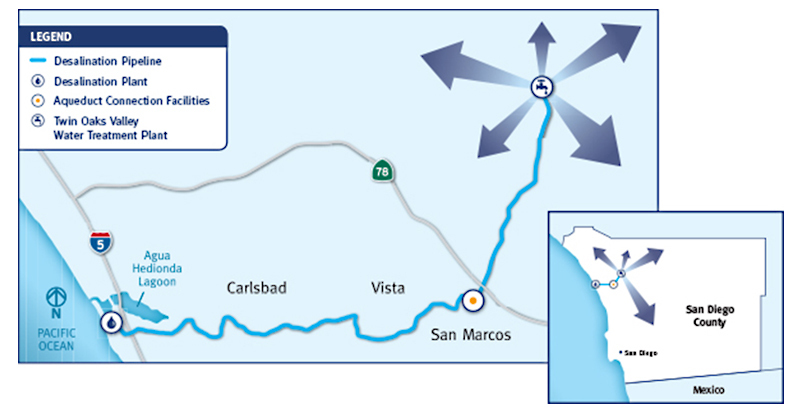 ​The Carlsbad Desalination conveyance pipeline is a 10-mile, 54-inch water delivery pipeline travels eastward from the seawater desalination plant through Carlsbad, Vista and San Marcos to the San Diego County Water Authority’s Second Aqueduct connection facility in San Marcos. Construction on the desalination plant began in late 2012, while construction on the pipeline began in spring 2013. Pipeline installation was completed June 2015. San Diego County is a semi-arid region with limited local water resources, relatively small aquifers and no major rivers. In recent decades, the County has relied on imported water from Northern California and the Colorado River to meet more than 80 percent of its water needs. 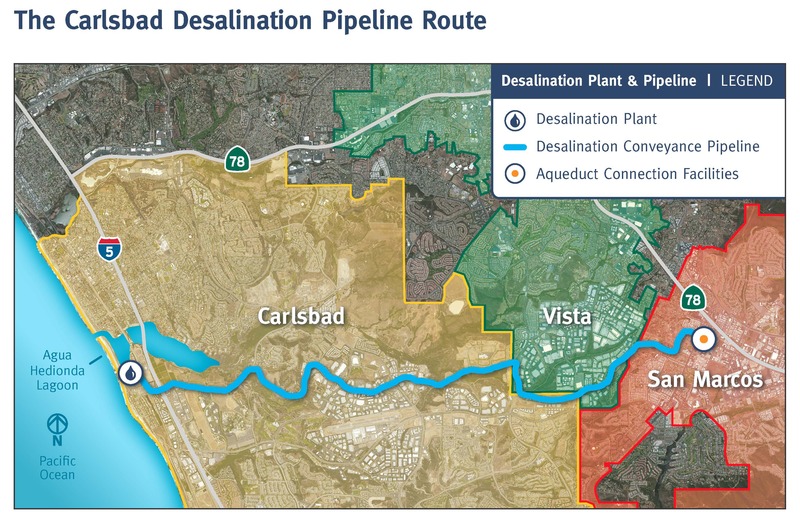 The Claude “Bud” Lewis Carlsbad Desalination Plant is an important component of the San Diego County Water Authority’s long-term strategy to improve the region’s water supply reliability by diversifying its supply resources. This strategy has allowed the region to reduce its dependence on imported water sources that are vulnerable to droughts, natural disasters and regulatory restrictions.